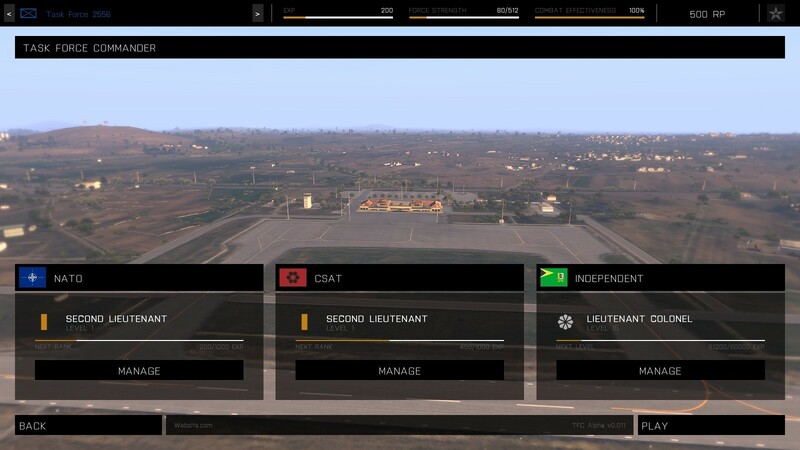 Task Force Commander is a Zeus-inspired, Real-Time Strategy Modification for Arma 3. Create, customize, and maintain your own persistent Task Force, and deploy them to the battlefield to fight other factions for control of the island. Earn Requisition Points on the battlefield to purchase squads, vehicles, and aircraft to customize your Battalion. 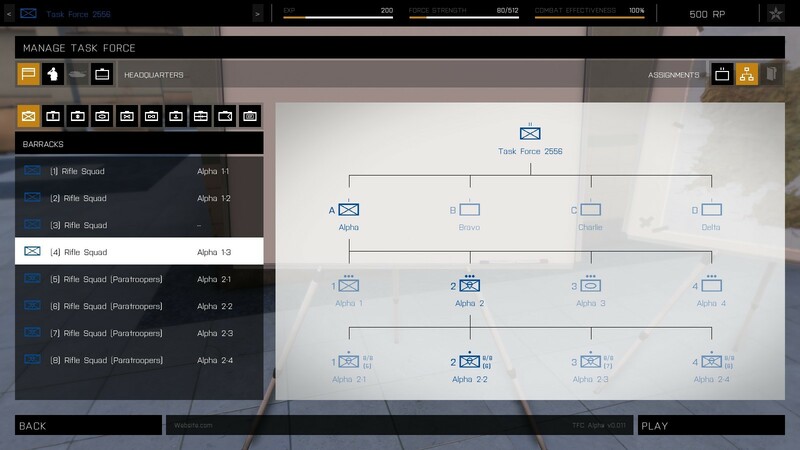 Construct and manage your Task Force using a separate management interface in the main menu before taking them into battle. 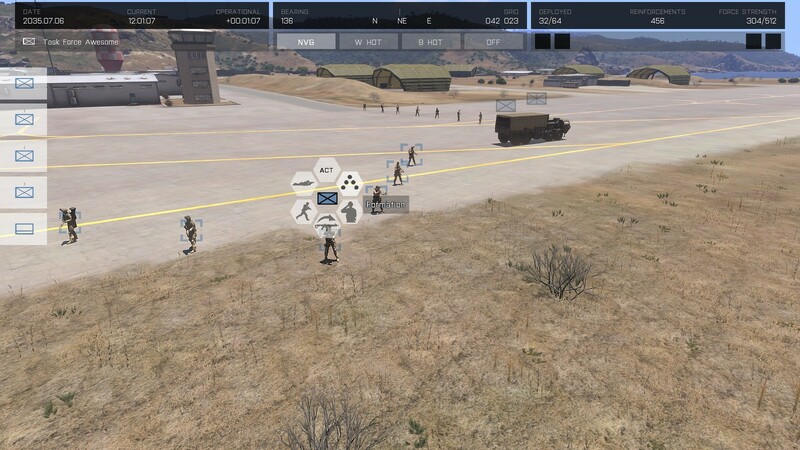 Choose from a variety of units and focus on filling a specific role to play cooperatively with other players (Armor, Airborne, Engineers, Medical, Supply, etc. ), or build to fill multiple roles and be better prepared to handle the battlefield situation on your own. Units are deployed to the island via deployment zones and must travel to their objectives, vs. traditional RTS factory and unit building methods. 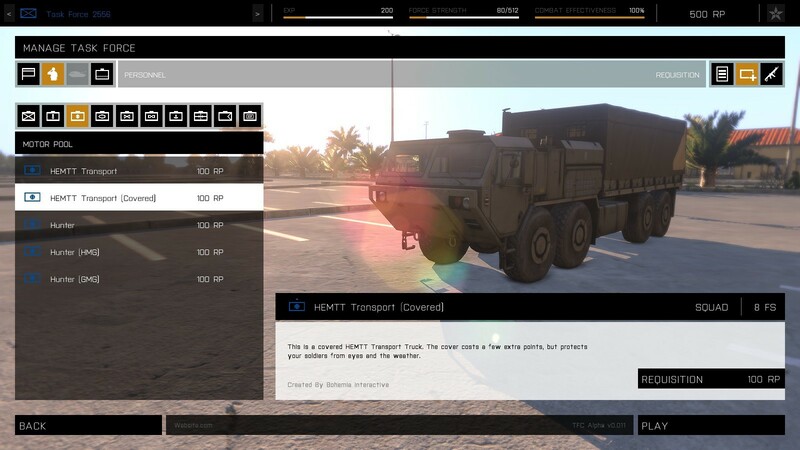 Soldier health and Vehicle conditions are persistent. If they are destroyed or fall on the battlefield, they must be reinforced or replaced from the resources you have available.